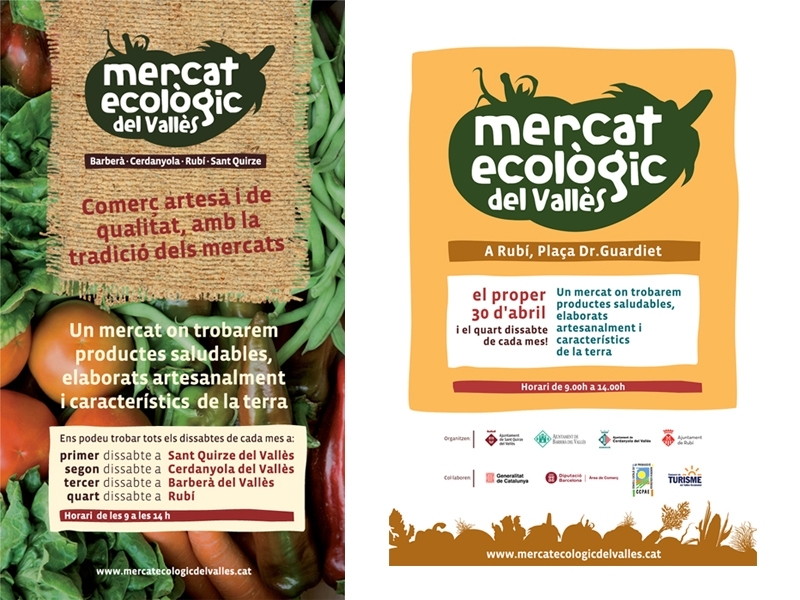 The corporate image design for the Mercat Ecològic del Vallès (ecological market of El Vallès) is based on the concept of dynamic identity. 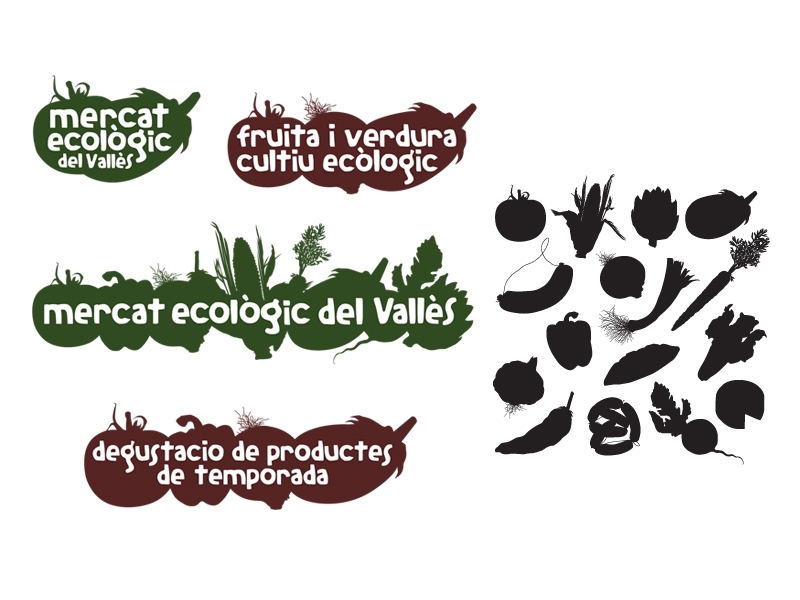 We adapted the main logo to different formats in order to develop different applications. In this way, the elements of the logo are used as basic blocks to create signs in the market or to be used as a header for all other corporate communication. This means that we can avoid using classic branding practices such as placing the principal logo on everything. With this approach it’s not necessary to brand all components, and we can also desist from being logo heavy on corporate material. The overall effect is subtle and elegant, as the communication is done more naturally and without relying on repetition. 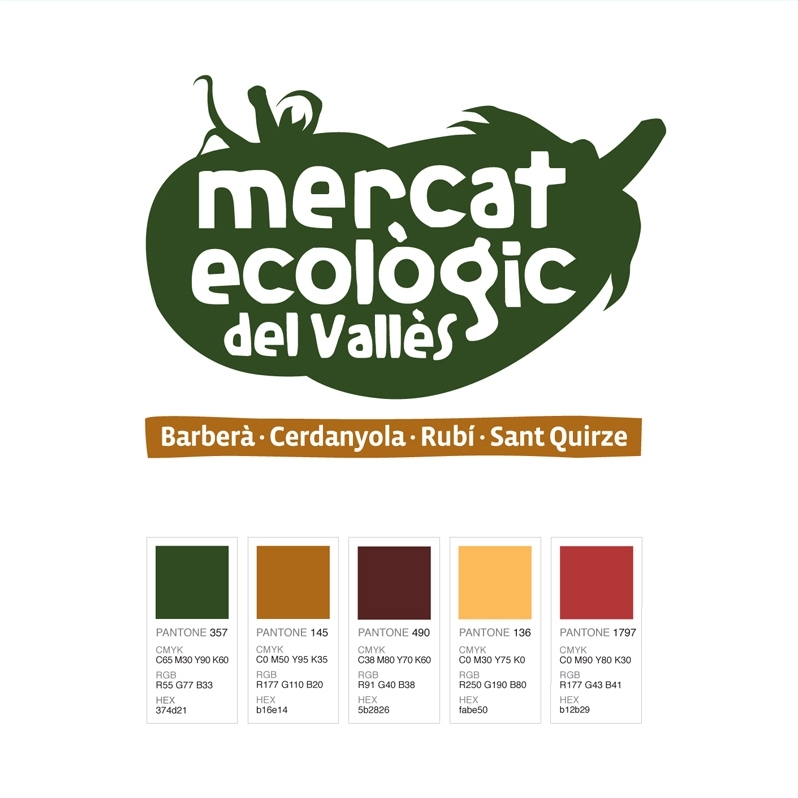 As an example; if we want to create a sign for a fruit stall in the market, we can place the words "Fruit Stall" within the profile of various fruits, using a colour or an array of colours that we think most suitable, thereby gaining in adaptability and adding more personality to the corporate image. Following this style guide we can change and combine the colours of the base images and the text. We have a gallery of images of typical market produce silhouettes which we can adapt as need be. Flyers with basic market information.